She was a woman that split opinion, a woman revered, a woman hated; but she was a woman, a mother, a daughter, a wife. Medical treatment – Can Our Children Say No? I wrote this piece recently after reading a few articles in newspapers etc. I have a slight interest in Medical Law – although granted in relation to negligence as opposed to ethics. So here goes…..
Medical treatment; our rights and choices towards it and the laws governing such has often been viewed as a complex subject, mainly due to the ever changing nature of medical advancement; in contrast with the slow change of legal statute. There are four main principles in medical ethics: Autonomy, Beneficence, Non- Maleficence and Justice. However, one particular principle that those studying the law towards medical ethics have always found difficult to fully answer is in respect to the autonomy of a child in relation to their ability to consent to, or refuse medical treatment. The law has long accepted that from the age of 18, most adults have the right to accept or to refuse medical treatment on the basis that they are fully competent. The question that arises is: do children also have a legally recognised right to consent or withhold consent to medical treatment? The answer to such could be termed as subjective, depending on the nature of the child as an individual. However the law does have measures in place with respect to this controversial matter. This is a piece recently published to all members of the National Nursing & Midwifery Council in the United Kingdom. A Threat toward any future strike action based on severe cuts to their Pensions that they are rightly entitled to. 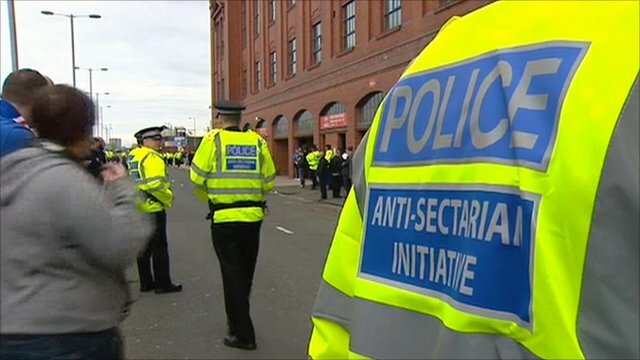 Rules For Rules Sake…Sectarianism In Scotland. Politics and Religion have never ensued in a healthy mix. ate. If only it were true. From Nazi Germany to the West Bank and beyond it is not difficult to rhyme off numerous examples of explosive events when the elements collide.